The poet Osip Mandelstam was one of the Soviet Union’s most outspoken critics and ultimately paid for this defiance with his life. 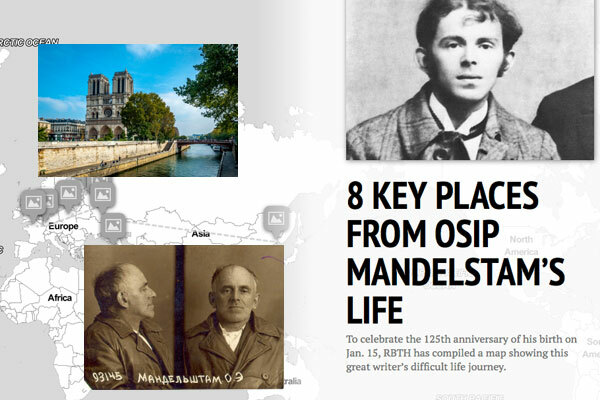 Osip Mandelstam openly confronted the Soviet government and Stalin personally through his poetry. As a result he was banned, exiled, and ultimately sent to a prison camp, where he died. His poetry remained banned in the Soviet Union for two decades after his death. Mandelstam owned very little and did not stay very long in one place. He constantly moved from apartment to apartment, living in Moscow for a time, then St. Petersburg and so on. He traveled a lot across Russia and lived in Europe for several years.